A lovely starred review and "highly recommended" from Library Media Connection for Jeannie Mobley's SEARCHING FOR SILVERHEELS! They say, "this is a well-written, compelling story that will have readers laughing out loud, empathizing with Pearl, and longing to know the true story of SILVERHEELS". Hooray! This wonderful middle-grade book is available now. Huge congratulations, Jeannie! Katie Speck's MAYBELLE is going to school! That's right, the fourth book in the series has an amazing cover by Paul Ratz de Tagyos and a title: MAYBELLE GOES TO SCHOOL. Even better--the first three books will be re-released in paperback at the same time the new hardcover comes out. Look for this title in June. Congratulations, Katie! Today is a day we've been waiting for all year! We have three (!!!) spectacular books releasing today!!! 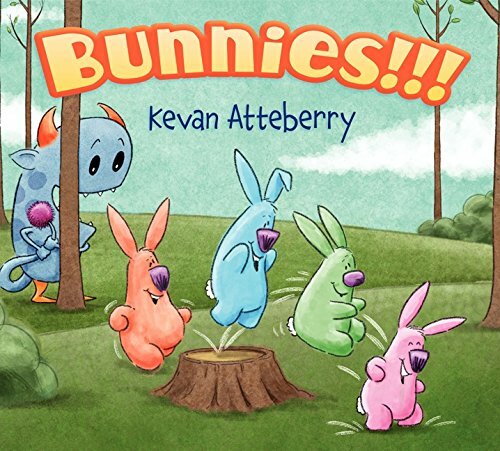 That's right, you can now purchase Kevan Atteberry's BUNNIES!! 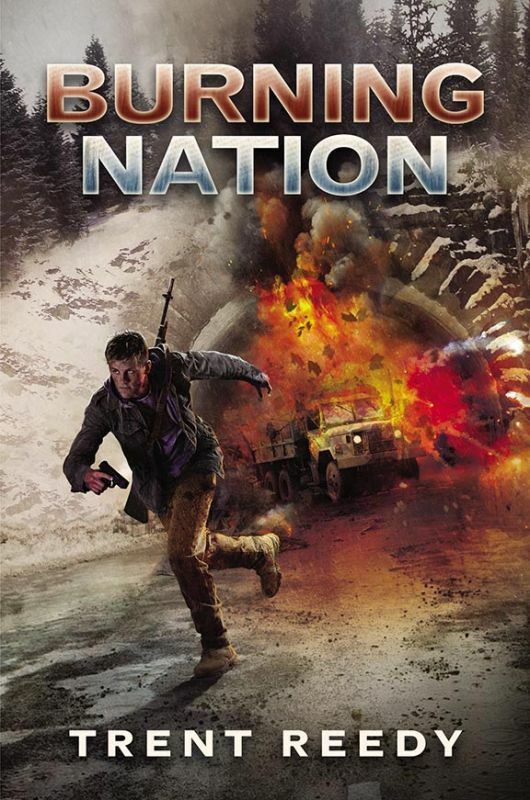 !, Mary Lyn Ray's A VIOLIN FOR ELVA, and Trent Reedy's BURNING NATION, Book 2 in the Divided We Fall Trilogy. The first two books are extraordinary picture books you won't want to miss reading with your little one and BURNING NATION will be an adventure you'll not put down long after the kids are in bed. Congratulations, Kevan, Mary Lyn, and Trent! We can't wait to see the places these books will go!!! It's a lovely Monday morning here at EMLA made better by the gorgeous cover we have to show off! 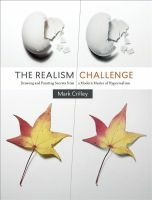 What do you think of Mark Crilley's THE REALISM CHALLENGE: DRAWING AND PAINTING SECRETS FROM A MODERN MASTER OF HYPERREALISM? We love it! Congratulations, Mark! A Stunning Cover for BEAR'S YEAR! The blend of beautiful greens, blues, and BEAR! We're happy to show off the newly-minted cover of Kathy Duval's latest book, A BEAR'S YEAR! Isn't it gorgeous? Thanks be to Gerry Turley for the perfect illustrations! Look for this one in the fall. Congratulations, Kathy! The 2015 Charlotte Zolotow Award has been announced and three EMLA-represented books are listed! 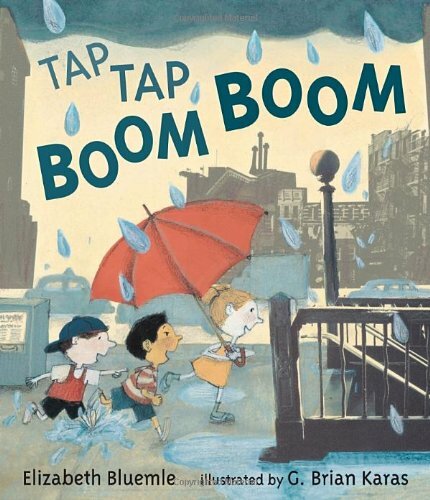 Elizabeth Bluemle's marvelous picture book, TAP TAP BOOM BOOM receives one of five Honors while Audrey Vernick's EDGAR'S SECOND WORD and Mary Lyn Ray's GO TO SLEEP, LITTLE FARM get a well-deserved Highly Commended! Congratulations, ladies, for your recognition from the CBBC! We already know Liz Garton Scanlon is a star in the world of picture books, but now she's proving her shine among the middle-grade fiction realm as well! We're proud to announce the first review for THE GREAT GOOD SUMMER is starred! School Library Journal says "this engaging debut novel hooks readers from beginning to end.... 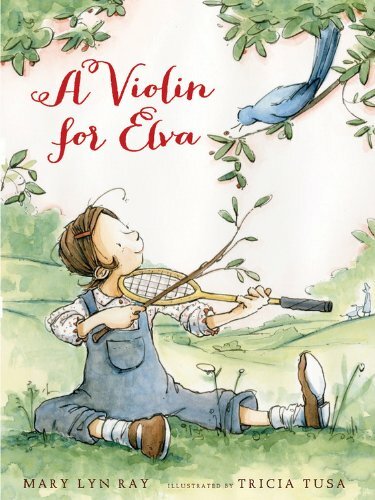 This tender and funny story of a strong-willed young girl is reminiscent of Rita Williams-Garcia's ONE CRAZY SUMMER and Kate DiCamillo's BECAUSE OF WINN-DIXIE". Such wonderful praise! THE GREAT GOOD SUMMER is one to watch for in May. Congratulations, Liz! We can't wait to see where else your stellar writing career takes you! A Starred Review for a Debut! There's not much better news than hearing the first review for a debut author is starred. We're happy to report this is the case for Megan Morrison's GROUNDED: THE ADVENTURES OF RAPUNZEL! Kirkus Reviews says "the characters are refreshingly three-dimensional, helping readers empathize with Rapunzel as she wrestles with universal feelings of love and betrayal—and priming readers of fairy tales to anticipate such novels as Wicked. Readers will be eager for more episodes of the intrepid team of Rapunzel and Jack". They're in luck because this book (released in April) is only volume one in the Tyme series so there's more to come. Congratulations, Megan! We're extremely excited for you! A Happy Birthday Here at the Office! Happy birthday to our fearless office manager and (self-proclaimed) bon vivant, Dennis Stephens! He works tirelessly behind the scenes to keep the books balanced and our annual client retreat the unanimous success it is. We shudder to think where we'd be without him. Have a great day, Dennis! Megan Morrison's GROUNDED: THE ADVENTURES OF RAPUNZEL has a cover! Isn't it stunning? It's brought to life in beautiful green tones and the girl with the hair dominates it. Admit it--you wouldn't want to tangle with this gal! Watch for the book in April. Congratulations, Megan! 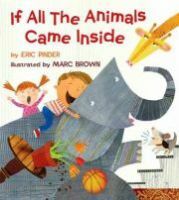 If there's one word I use most frequently to describe Eric Pinder's picture books, it has to be: "pitch perfect." Eric is a master of the warm, cuddle-up-and-read narrative voice, and an ideal example of this is his most recent masterwork, THE PERFECT PILLOW. 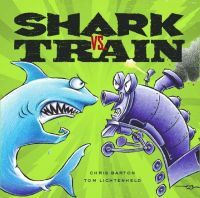 This picture book text tells the story of Brody, a youngster who is having a terrible time trying to get to sleep in his new, big bed. And so, finding the obvious solution, Brody crawls out the window in search of a more comfortable nighttime spot. (We've all done this ourselves... right?) Needless to say, adventures ensue. Today I'm happy to share the exciting news that THE PERFECT PILLOW has found a publishing home! It was acquired by Kevin Lewis at Disney-Hyperion, and great plans are already a-brewing for some gorgeous accompanying illustrations. We're always looking for new ways to grow as an agency, and new ways to improve the service to our clients. With the help of an old friend, we've got something wonderful going on: A partnership with marketing firm Curious City and Kirsten Cappy! The Erin Murphy Literary Agency, Inc. (EMLA) marked their 15th year anniversary by announcing both a new partnership and a new concept in how literary agents can invest in the future of their clients' books. EMLA agents and clients will now receive ongoing children's book marketing consultation from Kirsten Cappy of Curious City. EMLA clients will also be able to charge individual marketing projects with Curious City against EMLA royalty payments. On EMLA's behalf, Curious City will work alongside publishers' publicity and marketing departments on EMLA titles. "Self-promotion is a reality for all published authors and illustrators," says Erin Murphy, President of EMLA, "Our agents do their best to answer marketing questions, but ultimately it is not our area of expertise. I have long admired Curious City's creative marketing solutions and projects. With Kirsten Cappy's help, the agency and our clients will be investing more pointedly in the continued success of our books." 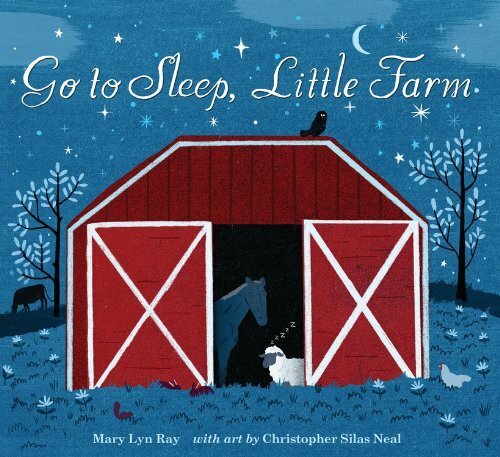 Since 2003, Curious City has developed unique children's book marketing campaigns for close to 100 authors, illustrators and publishers including Newbery honorees Phillip Hoose and Grace Lin and Caldecott honoree Melissa Sweet. Curious City produces marketing that allow booksellers, librarians and other gatekeepers to use programming and other tools to engage with young readers. "EMLA takes great care in matching and maintaining author and publisher relationships," says Kirsten Cappy of Curious City, "My partnership with EMLA comes out of long conversations with Erin Murphy about how to improve upon an author's post-publication experience with their readers. Stronger engagement with readers means stronger ongoing sales." Celebrating its 15th year, the Erin Murphy Literary Agency has established a strong reputation in the children's publishing industry. The agency has seen steady growth topped by the last four years of impressive increases in revenues, staff, and awards and recognition for clients' books. As a leading U.S. children's book agency, EMLA focuses on connections—between writer and editor, story and reader—as well as on helping their clients build their careers and grow as artists. When I first read Elly Swartz's middle grade novel, FINDING PERFECT, with its amazing and riveting voice and the oh-too-real trials endured by the main character, Molly, I was hooked and I knew it was only a matter of time before I got an editor hooked as well. Just a few short years later, we've done it (Elly's amazing revision skills propelled us to the finish line!) and I'm so thrilled to announce the good news. Elly is driven, craft-focused, and courageous. And she's just one of the nicest authors around! I'm so happy that this moment has arrived! How can we wait for Fall 2016? I will be . . . on the edge of my seat! This is a book that teachers, librarians, and parents will want to watch for, especially to help encourage the young lives they guide and mentor every day. Elly Swartz's FINDING PERFECT, in which a twelve-year-old, after her mom leaves their family to take a faraway job, copes with her out-of-control world by counting, measuring, and organizing, to Angie Chen at Farrar, Straus Children's, for publication in Fall 2016, by Tricia Lawrence at Erin Murphy Literary Agency (World). Levinson's Flying High on a Great Cover! 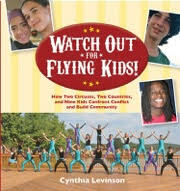 Cynthia Levinson's new middle-grade non-fiction, WATCH OUT FOR FLYING KIDS, has a breath-taking new cover and jacket! The book spotlights teens who soar over cultural, religious, and political boundaries in two children's circuses--a circus in St. Louis, Missouri, and an Arab-Jewish circus in Israel. Oh, the faces of these wonderful kids make us smile! Watch for this book in August! Congratulations, Cynthia! We have a marvelous new cover to reveal for Phil Bildner's MARVELOUS CORNELIUS: HURRICANE KATRINA AND THE SPIRIT OF NEW ORLEANS! Isn't it great? 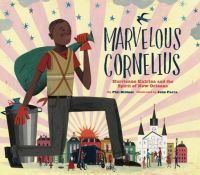 This book celebrates New Orleans resident Cornelius Washington, who took the words of Martin Luther King Jr. to heart and became "a great street sweeper who did his job well," including inspiring others to help with the cleanup after Hurricane Katrina. Readers should definitely watch for this one late summer. Congratulations, Phil and marvelous illustrator John Parra, it looks great! You should have seen me when Dashka Slater sent me the manuscript for ESCARGOT, a picture book about a French snail who just wants to give kisses ("Mwah!") and be loved. I read it aloud to anybody who would listen, with my terrible French accent. And then Joy Peskin at FSG fell in love with the little snail, too, and together, she and Dashka tackled a couple of revisions, and each time I read it again, I loved it even more, which I didn't think was possible. More people were burdened with hearing my terrible French accent. So I am very happy indeed to tell you that Joy has officially signed up this wonderful picture book, and thanks to her creative director, Anne Diebel, we had a perfect match in the art of Sydney Hanson. (It was the bumblebee that really captured our hearts!) The book will be out in spring 2017, and I can hardly wait! A happy, happy release day to Melanie Crowder and AUDACITY! It's the story of Clara Lemlich Shavelson, the leader of New York shirtwaist strike of 1909. And what a story it is! It's already received multiple starred reviews and made the list of Bustle's best YA novels to read in early 2015. Pick up your copy today, you won't regret it. Congratulations, Melanie! This book is going to go places! A Second Star for FISH IN A TREE! Lynda Mullaly Hunt's FISH IN A TREE gets a second star! 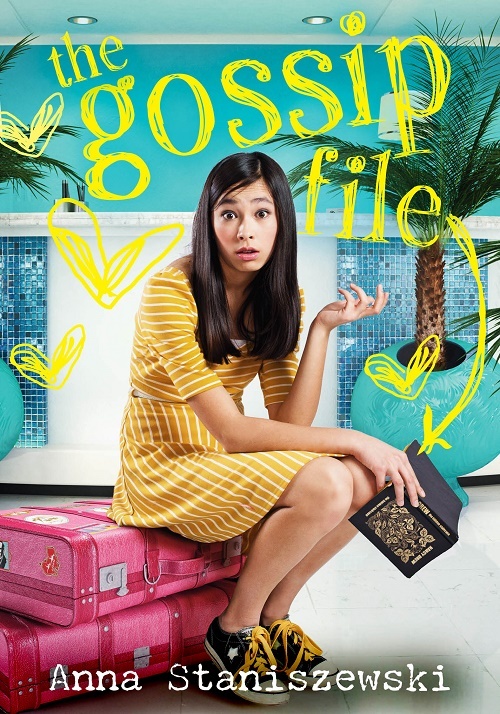 School Library Journal has so many good things to say about Lynda and her soon-to-be released middle-grade novel that it's hard to choose a few great quotes. They say "Lynda Mullaly Hunt again paints a nuanced portrayal of a sensitive, smart girl struggling with circumstances beyond her control." 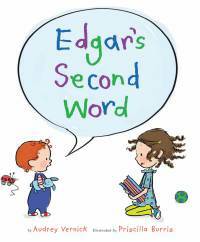 They praise the book as "heartwarming, but refreshingly devoid of schmaltz". We're so happy for you, Lynda! Congratulations! Readers can look for this one in bookstores everywhere February 5th! We're starting the new year off right with two stellar book birthdays! 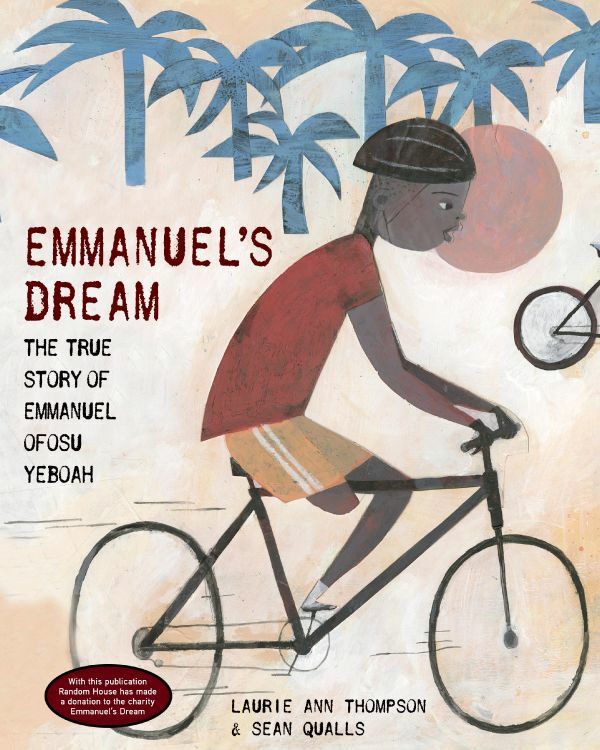 Please join us in welcoming to the world Laurie Ann Thompson's EMMANUEL'S DREAM: THE TRUE STORY OF EMMANUEL OFOSU YEBOAH and Anna Staniszewski's THE GOSSIP FILE, the third installment of The Dirt Diary series. Laurie's picture book will inspire you to follow your dreams and Anna's lovely middle-grade will have you in stitches. Grab your copies today! Congratulations on your babies being out on the shelves, ladies!